The MAA extends Phoenix Seminary’s theological education to the local church in order to integrate experiential learning, structured supervision, and disciplined spiritual formation with practical day-to-day ministry training on the campuses of local churches that serve as MAA Allies. The Ministry Apprenticeship Alliance aims to join rigorous scholarship with supervised ministry experience and mentoring in the context of approved local churches. Our mission at Phoenix Seminary is to equip godly leaders to serve Jesus Christ effectively in a diverse and changing world by providing theological education with personal mentoring and ministry training in partnership with the local church. We believe that a great deal of theological education, character formation, and ministry skill development occurs in the local church context. And because of this reality, the seminary partners with local churches in unique ways to offer high-quality educational and formational experiences to Phoenix Seminary students. For this reason, the Ministry Apprenticeship Alliance has been developed. Phoenix Seminary currently partners with the following churches: Trinity Bible Church in Peoria, Church on Mill in Tempe, Whitton Avenue Bible Church in Central Phoenix, Scottsdale Bible Church in North Scottsdale, and Roosevelt Community Church in downtown Phoenix. If you are a pastor who would like to join this program, please see below about applying. What Are Goals of the Ministry Apprenticeship Alliance? Theological Education: Students will be able to demonstrate a skillful reading of the Bible in interpretation and application to contemporary situations. Character Formation: Students will be able to demonstrate a growing Christlike character and sense of God’s calling to ministry. Practical Ministry Experience: Students will be able to display a biblical vision for ministry and lead with humble authority after observing and serving in an intensive internship or mentorship situation. As a Student, How Can I Participate in the MAA? Any student in the Master of Divinity degree program at Phoenix Seminary and who is also involved in an approved Ally ministry internship program is eligible (subject to all Phoenix Seminary admission, and registration policies and procedures). 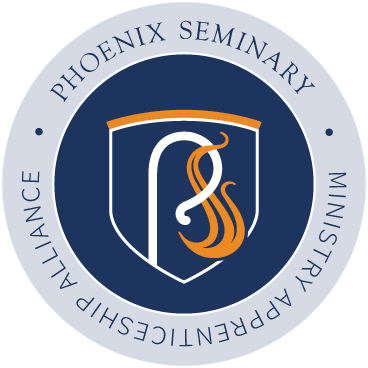 To receive credit for MAA courses, each student must be currently enrolled in the Master of Divinity degree program at Phoenix Seminary, and complete a form validating his/her internship at an Ally ministry. What Kind of Credit Can I Earn as an MAA Participant? Phoenix Seminary students who participate in an MAA ally church or para-church ministry internship can earn up to 18 hours of course credit for the Master of Divinity degree in their approved ministerial contexts. Do MAA Seminars Count as Regular Credit Like Other MDiv Classes? Yes. All MAA seminars can count as residential credit hours. A student can earn up to a maximum of 18 residential credit hours. Depending upon the approved syllabi being taught on your ALLY ministry campus, some of the MAA seminars will provide you with both core and elective courses. Who Will Teach the MAA Seminars on My Ministry Campus? Qualified pastors and leaders at your church or para-church ministry teach the MAA Seminars. In order to qualify, they must hold at least a Master’s of Divinity degree from an accredited institution so that they are able both to instruct academically and supervise ministerially Phoenix Seminary students participating in the MAA. MAA instructors are also subject to qualification as Adjunct Instructors at Phoenix Seminary. How Do I Know if My Church or Ministry Qualifies as an Approved Ally and Can Offer MAA Seminars? To qualify, interested churches or para-church ministries need to fill out an MAA Ally Registration Form after reading the MAA Ally Agreement. This form includes the required minimal commitments in the areas of: doctrinal agreement, time commitment, educational requirements, and practical experience. 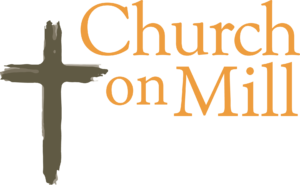 How Does My Church or Ministry Apply? Your pastor or Ministry supervisor must read through the MAA Affiliate Agreement and complete the MAA Ally Registration Form. They can get these documents by contacting the Strategic Advancement Office (sjohnson@ps.edu or call 602-429-4975). After filling out an application to become a MAA Ally, representatives from Phoenix Seminary and the applying church or parachurch ministry meet to discuss the details of the contextualized training to be carried out. After meeting with Phoenix Seminary, the church or para-church ministry agrees to sign the MAA Ally Agreement. This agreement outlines the minimal commitments in areas of doctrinal agreement, time commitment, educational qualification, and practical experience that Phoenix Seminary and the Ally are making together. At this point the church or para-church ministry becomes a MAA Ally. How Do Sign Up for the MAA Seminars Being Taught on My Campus? You will register for the seminar just like any other course at Phoenix Seminary. Your Ally MAA seminar will have a special course number assigned to it, for which you will register. How Much Do MAA Seminars Cost? Regular student hourly tuition rates apply to all MAA seminars (currently $480.00 per semester hour). Each MAA seminar is worth either 3 or 6 hours of course credit. However, students who are accepted as MAA participants will receive a 50% tuition discount subject to the terms of the MAA Scholarship Policy. When a student completes the MAA courses he or she will be eligible for the normal Dean’s or President’s Scholarship programs, based upon cumulative GPA. Are There Prerequisites for MAA Seminars? No. There are currently no pre-requisite courses required. What Are the Course Requirements for MAA Seminars? MAA course syllabi will be distributed to participating students, as they would be for other Master level classes. The MAA Ally will articulate the specific requirements for each MAA course offered. Directed Readings and Writing Assignments. Weekly Face-to-Face time with Ministry Instructor. Weekly Face-to-Face time serving in Ministry Experience. Character Development Reflection and Evaluation. What Options Are Currently Available for Course Credit in the MAA? MA501 Integrative Seminar I: Leadership/Ecclesiology (6 hrs.) An intensive supervised ministry experience focused on the development of leadership competencies and consisting of the following: ministry service in a pre-approved setting, involvement in a formal church-based internship/ministerial training program, and appropriate academic requirements which will enhance the student’s understanding of ministerial leadership. MA502 Integrative Seminar II: Pastoral Care 1 – Orders of Service (3 hrs.) An intensive supervised ministry experience focused on the development of competencies related to effectively planning and conducting congregational worship services, weddings, funerals, and membership classes. An intensive supervised ministry experience focused on the development of competencies related to pastor’s effectively caring for their souls and the souls of others. MA 504 Integrative Seminar IV: Proclamation (6 hrs.) An intensive supervised ministry experience focused on the development of preaching competencies and consisting of the following: ministry service in a pre-approved setting, involvement in a formal church-based internship/pastoral training program, and appropriate academic requirements which will enhance the student’s understanding and practice of proclamation. While the above are current offerings, the MAA courses are adaptable. The syllabus for each church seminar is not necessarily fixed; it can be changed upon the interests and goals of the approved church or para-church ministry. As long as the syllabi are approved by Phoenix Seminary, courses can be designed and customized by and for each ally church or para-church organization. You should contact your internship supervisor or pastor to determine which seminars are currently available at your church. Do I Have to Take the MAA Courses in a Particular Sequence? No. There is currently no order required. The MAA Ally ministry will determine the order and sequence with which they offer MAA seminars. Can MAA Seminars Replace BC591 Internship? Yes, the requirements for BC591 Internship can be integrated into an MAA Seminar.